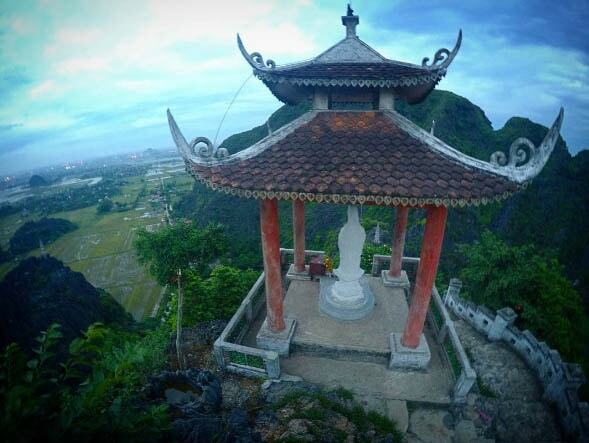 Mua Cave (Hang Mua) is located at the foot of Mua Mountain, in the ecotourism complex of Khe Ha Ha village, Hoa Lu district, Ninh Binh. 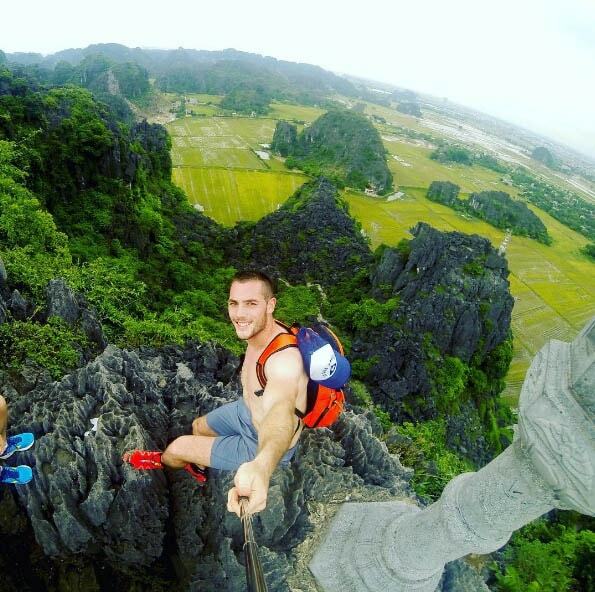 Some travelers getting to Hang Mua would rather love climbing up the Ngoa Long Mountain to have the stunning view of Tam Coc area with mountain range, rice fields and waterway. 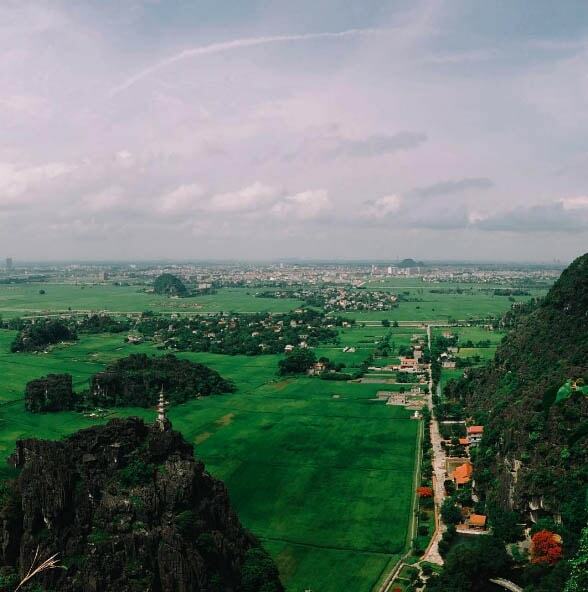 It’s a fair climb up hundreds of steps (500) lead you to a temple on top of the mountain, you can admire the whole beauty of the Tam Coc area with the vast, green rice fields. 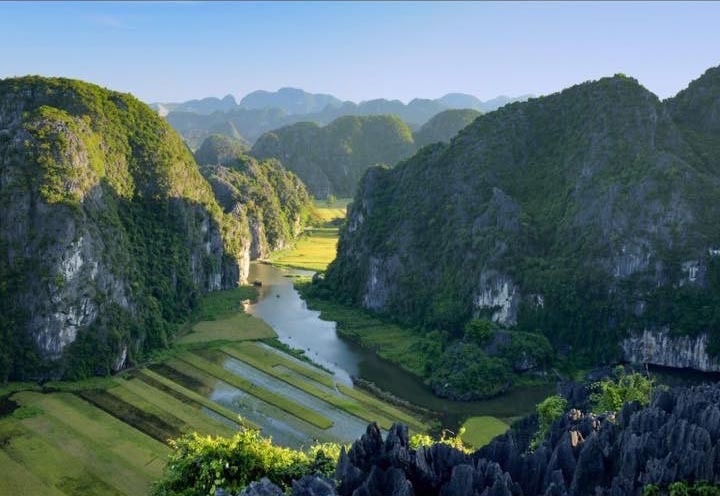 The spectacular views from Hang Mua over Tam Coc and Ninh Binh’s stunning countryside are well worth the effort. 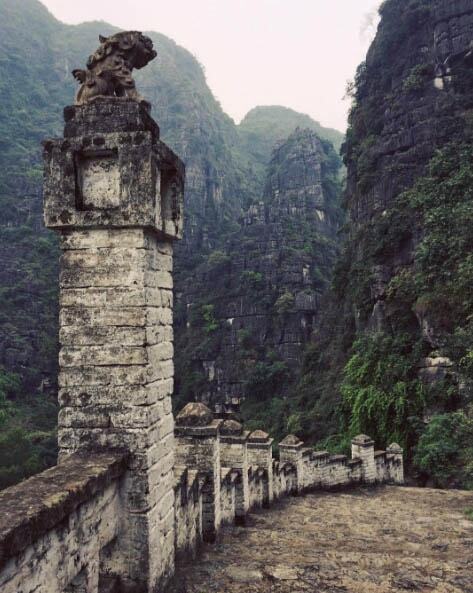 Steps lead to top mountain in Hang Mua was imitated from architecture of Great Wall of China with 486 stone steps. 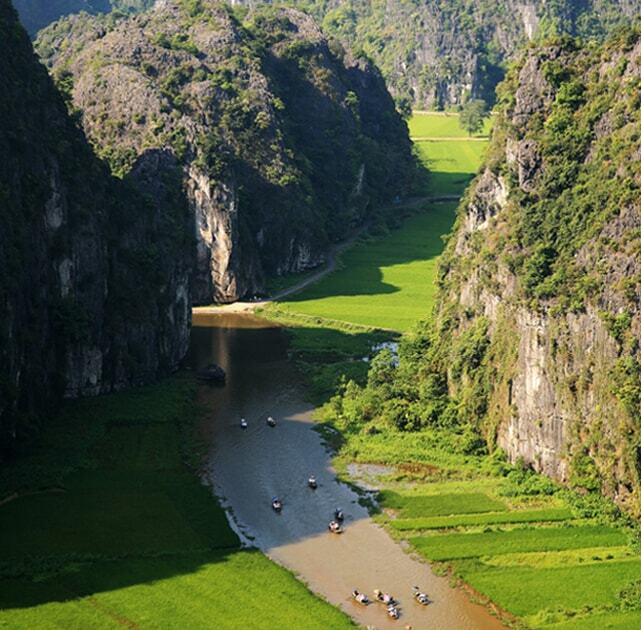 Traveling to Hang Mua peak, you will wallow in a wonderful landscape of mountain, valley and river. What so called Hang Mua (Hang means cave, and Mua means Dancing) – the name derived from a folk tales saying that the King Tran moved to Hoa Lu to establish Thai Vi temple, and often went to the cave below the mountain to hear the beautiful female singers singing and dancing, from which people called this Hang Mua. At the top of the mountain is a Bodhisattva Avalokiteshvara looking down to the ancient land. With the tranquility and the wide view of a large area of ​​Hoa Lu. However, the major site Hang Mua (Mua cave) is located on foot of the mountain. Descending and you should not miss a visit to Mua Cave and the Fairy stream. 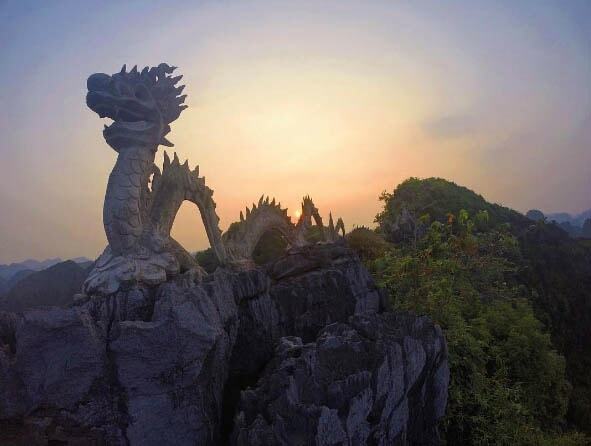 Legend has it that King Tran moved the capital to Hoa Lu and established Thai Vi hermitage and often visited the cave on foot of the mountain to enjoy the dances and performance of beauties and concubines; thus this cave was named Mua Cave (mua means dance). 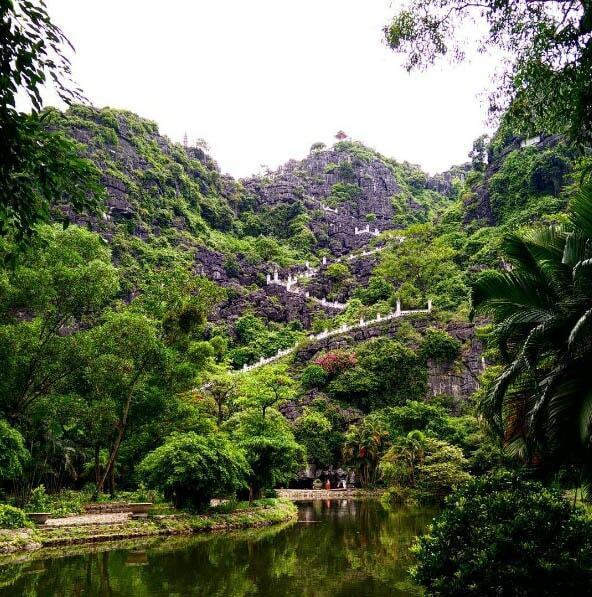 Here’s the actual view inside of Hang Mua – just a place to rest after your hiking. Best time to climb up Hang Mua peak in the early morning or late afternoon. 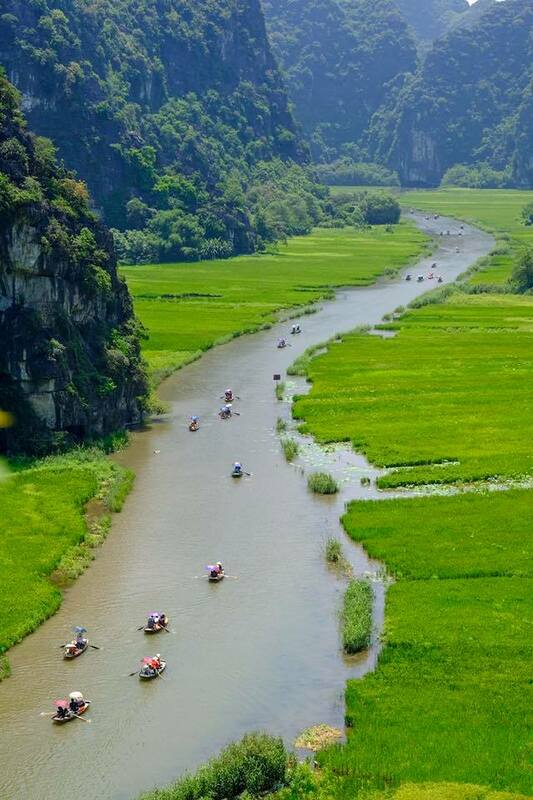 Hang Mua is easily accessed while cycling in the area of Tam Coc. 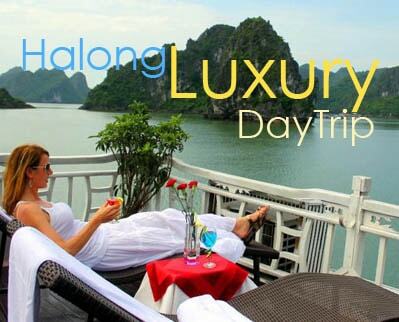 Join this tour to Hang Mua cave with us, combine with a visit to Trang An grottoes or Tam Coc.